JAMTEK Solutions offers quality telecom, data, cabling and security solutions in the industry coupled with professional project management on ALL installs - - no matter how big or small. We pride ourselves on 100% customer satisfaction through our ability to deliver everything promised and expected, and more, on each and every job. We consider our customers to be our Business Partners. And we treat them like partners - before, during and after the delivery of our products and services. Do our customers pay high end dollars for this high level of service? No. Our business model allows us to deliver excellent service at standard or even below market prices. Business Phones Systems - We offer AVAYA, NEC, Toshiba, Panasonic and Nortel business phone systems as well as a variety of applications/products to make your solution complete (i.e. Polycom, Cisco, Adtran and more). Whether your needs call for a DIGITAL system, VOIP system, or a combination of both, our expert design team will propose the right solution while our Project Management/Operations team makes it happen. Data Networking - Whether you need a router configured to handle your new voice services from your carrier, a complete data network, or anything in between, we can help. We will partner with all of your providers to make sure your solution exceeds your expectations. Cabling - We provide all inside wiring (copper and fiber) for voice, data, and all video and audio applications. JAMTEK can cost effectively provide high level inside cabling solutions. Outside Plant - Whether you need to connect buildings with copper, fiber, or even electric we can deploy the team to get you connected. Security - We offer a variety of surveillance solutions that can be monitored from anywhere. Network Services - We can provide a variety of services from several carriers. PRI's, T1's, DSL and more. Based on service availability, provider ability to deliver and price we can design the optimum network service solution at the low prices. Professional Consulting Services - In this economy, it is more critical than ever to purchase the right solution - the first time. Our Consulting Division can help you develop a road map for your phone and/or data infrastructure. 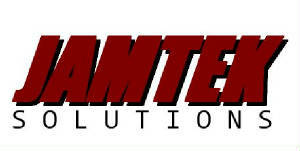 JAMTEK can then develop an RFP, secure bids, and make recomendations for you.